Connect with The Racing Horse! Amman Valley Trotting Club and Messaging! 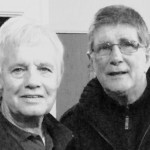 The vacant British Light Welterweight Title (12 x 3) had promised genuine combat between Scottish veteran Willie Limond (2 February 1979) and Welsh Chris Jenkins (14 August 1988) at the First Direct Arena in Leeds on 11th April 2015, live on Sky Sports. However, Limond has since cried off (shoulder injury) so Tyrone Nurse (4 January 1990) has grabbed the chance to take on Jenkins in the hope of striking lucky! Looking at the visuals and form book it looks as though hope is all there is for the Yorkshireman. Of course records do not win fights - performances do! Huddersfield star Tyrone Nurse said: “I will try to perform the way I know I can. Winning is first and foremost for me, as I am not a good loser. It’s great to be on another Matchroom show, they’re easy to work with and a great bunch of people in general. It is always a buzz to be on Sky, too. I just need to make sure that I perform, so people see what I’m capable of.” When asked about his preparation he attempted to convince: “The only difference was losing the extra bit of weight for a slightly longer bout than I was expecting before last week, and working out the style of boxing for the opponent. On the whole nothing has changed. If it had even been a journeyman and not Jenkins I would train with the same intensity and dedication. The Ryan loss has no bearing on me going into this fight. If anything the loss could play to my advantage as opponents may think that’s the Tyrone they will be facing, but I know differently. I’ve got my head screwed on and my mind on the job, and I know what the job at hand requires. It was entertaining to hear trainer Chris Aston say experience could be cruciial as if Nurse had an edge in that department. He continued: “Tyrone came through 12 hard rounds with a hard man and acquitted himself well. We have trained hard, knowing an opportunity like this might come up, and now it’s time for Tyrone to use the know-how he has built up. Tyrone learned lessons from the Ryan fight. Now it’s time for him to fulfill ambitions.” What Chris Aston had not said is Jenkins has fought all over the world including representing Wales at the 2011 Word Amateur Boxing Championships in Baku, Azerbaijan. He also represented his country at the 2007 World Amateur Boxing Championships in Chicago and won a gold medal at the Canada Cup." Conversely it is Jenkins who has the experience! The unbeaten 26 year-old Welsh challenger comes into the fight with a most impressive 16-0 (8 knockouts) record after winning the WBC International super lightweight title a year ago against Christopher Sebire of France. 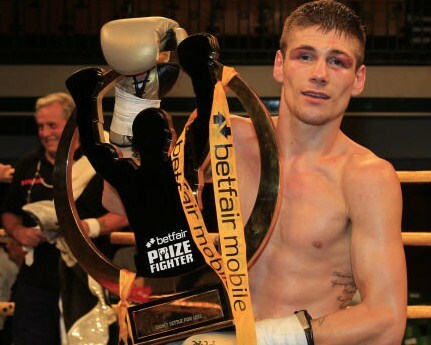 Jenkins first rose to fame nationally after impressively slamming his rivals in the Prizefighter Light Welterweights III tournament at the York Hall, Bethnall Green in July 2013. With just seven fights under his belt he won every round of his quarter-final and semi-final before knocking out Danny Connor in the second round of the final. And this was achieved with a big handicap given he fought last, this meant he did not have the same recovery time as his rivals. One cannot overestimate the size of the encumbrance and how easily he dealt with it!. We are not just for the professionals, we treat general sports injury, prevention and rehabilitation of injury, including repetitive strain injury. Age is not a barrier and we welcome retired women and men. The Racing Horse witnessed the training of Jenkins close up and personal and he looks to have too much speed (hand and otherwise) and power for the new rival. One can only guess how well prepared Nurse is for such a fight but Jenkins has been preparing for two fights (one cancelled) and was brought to this peak as if he were facing the mental and physical toughness of Limond. Jenkins will take the fight to his rival and hit him from lots of angles and especially to the body. The booming left hand to the right rib cage will feature heavily in this fight and end any notions Nurse might have! The talent, attitude, boxing speed and fitness had been channelled into a super-charged dynamo. Jimmy Bromfield, famous for rescuing the career of Neville Meade before winning the British Heavyweight title said: "Chris's dedication and appetite for work was as good as anything he had seen in his lifetime." Given his wealth of experience and the number of British Champions trained that was some statement! 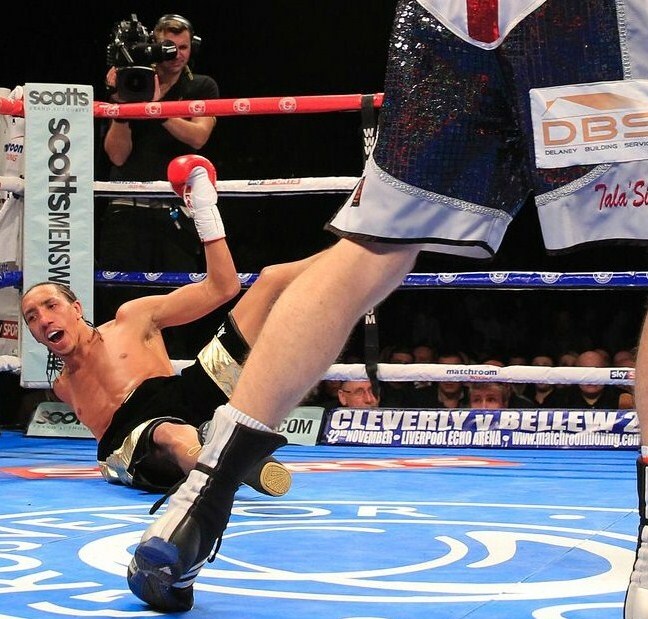 The fight is part of an attractive bill, topped by local hero Josh Warrington’s showdown with Dennis Tubieron, of the Philippines, for the vacant WBC International featherweight titleFor ticket details ring the First Direct Arena on 0844 24 8 1585 or go online at www.firstdirectarena.com.